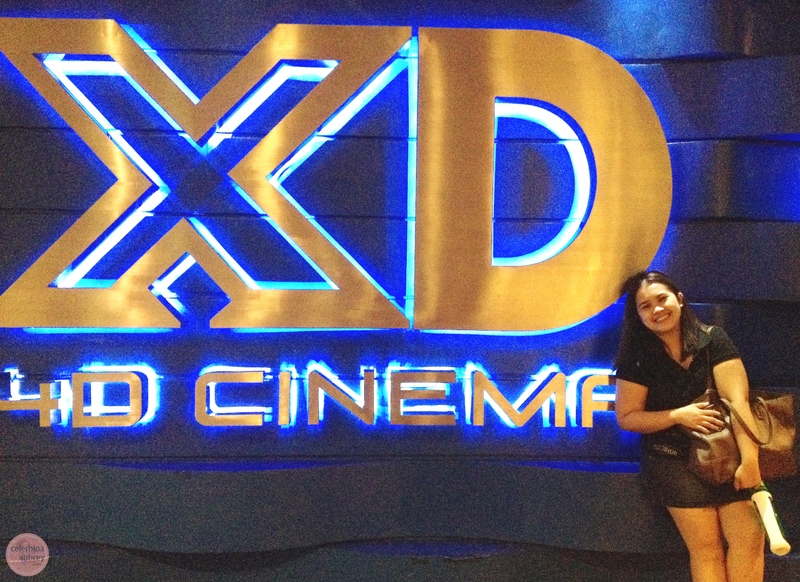 Last December 27, we all went back to SM Mall of Asia, this time to catch Feng Shui. First let’s talk about the movie, or the parts that I actually watched (I am hiding behind my hair and my hands like 3/4 of the film so I went out with crazy bruha hair). I think Kris Aquino is actually good with horror. I watched the first Feng Shui 10yrs ago with my high school bestfriend, Marie, and I remember being soooo scared. Gaga kasi! Nanood ng last full show at first time kong mag last full show nun. Kaloka! Anyway, where am I? Ayun! Kris is actually good with horror. Her serious, scared face is perfect. While Coco’s acting is undeniably superb. But the one who stands out for me, acting-wise, is Carmi Martin! She is funny, she is crazy, and her drunk scenes are perfect. Her words are slurry and she really looks like an alcoholic. Mata palang nila ni Coco Martin perfect na! However, this Feng Shui is very far from the first Feng Shui. That first one, hindi ako nakatulog kay Lotus Feet. I swear! And napaliguan ko ng popcorn yung katabi ko sa sobrang gulat. To think nakatago din ako sa likod ng friend ko nun ah. So 1/4 lang din yung matino kong napanood. This one, I am okay na after the film. Walang after-effect like the first Feng Shui. Walang kilabot. Probably because they aimed to make it PG, to earn more on the box-office. Keri na din coz its a Christmas season film. Ganun talaga. Producers have to earn. Plus I also find the death scenes corny. My friend is right. Hindi okay ang death scenes. Although they imitate the scariest scene on the first Feng Shui where Lotlot saw herself dead on the hands of Lotus Feet. Pero waley. Not really super scary. At ang kapal ng fez ko maghanap pa ng scary no?! Nyahahaha! Sige na nga, mas okay na tong 2nd Feng Shui at least walang after effects. But watching it on the 4D cinema is our best decision. Since it’s not too scary, watching it on 4D made the experience more memorable. Chairs are moving, there’s wind, there’s light effects and water effects – SUPERB! Mas nakakatakot sya because it’s on 4D. So may gulat factor yung pag alog ng upuan. Hihihi! 4D is also not super expensive, it’s just Php 350. Although it’s just an introductory price pero keri na. :) What I didn’t like though is the fact that it’s not available online! Naku SM Cinema!! Make it avail online please!! We went there on the 26th only to find out that it was sold out for the entire day. So we bought tickets for the next day instead and just watched Bonifacio, a good option actually.